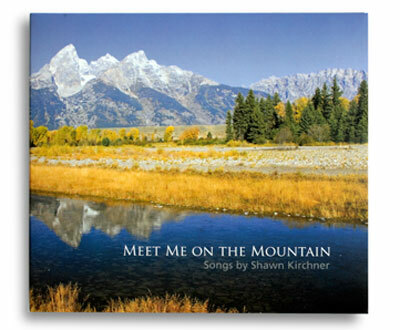 UI graduate Shawn Kirchner releases his album Meet Me on the Mountain. Drawing inspiration from the Oscarwinning screenplay Brokeback Mountain, composer-songwriter Shawn Kirchner has created an album that evokes the film's heartbreaking story. Meet Me on the Mountain is a collection of 11 original country/bluegrass songs, all written by UI music grad Kirchner. Not only did he compose and produce this project—he also provides backup vocals and plays piano. Through his connections on the Los Angeles music scene, Kirchner managed to assemble some of LA's finest vocalists and musicians to perform on the album (among them, fiddler Gabe Witcher, who played on the film's original soundtrack, and harmonica player Tommy Morgan, who has accompanied the likes of Paul Simon and The Carpenters). Each soulful song explores the movie's characters and storyline of star-crossed cowboy lovers, offering an additional musical experience to a picture that stirred emotions in audiences everywhere. For more information about Meet Me on the Mountain and Kirchner's other musical projects, visit www.shawnkirchner.com. Carter Fridly's joyous response to his UI acceptance letter. An avid biker and his fundraiser to help stop human trafficking. A view of an Alumni's work at Politico.